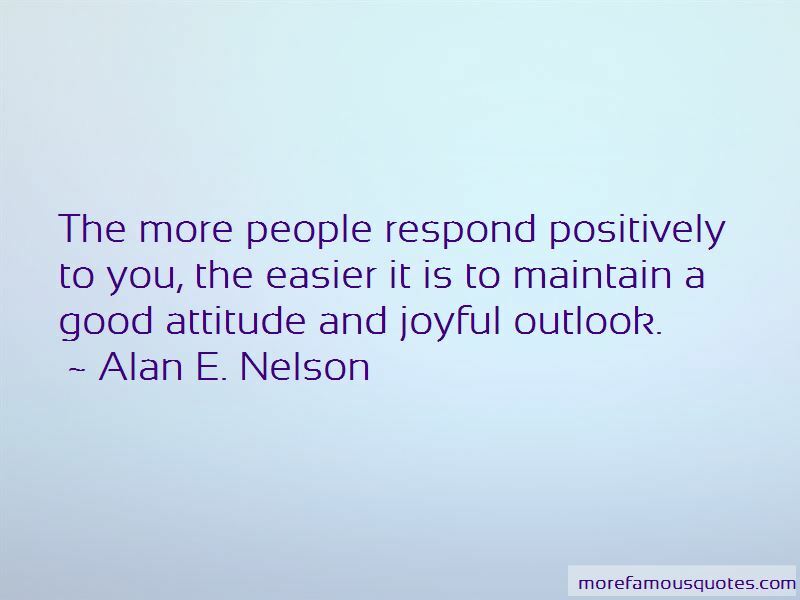 Enjoy the top 9 famous quotes, sayings and quotations by Alan E. Nelson. We all hope for love, enjoy it and desire it, but expecting and demanding it of others fouls up a good relationship. 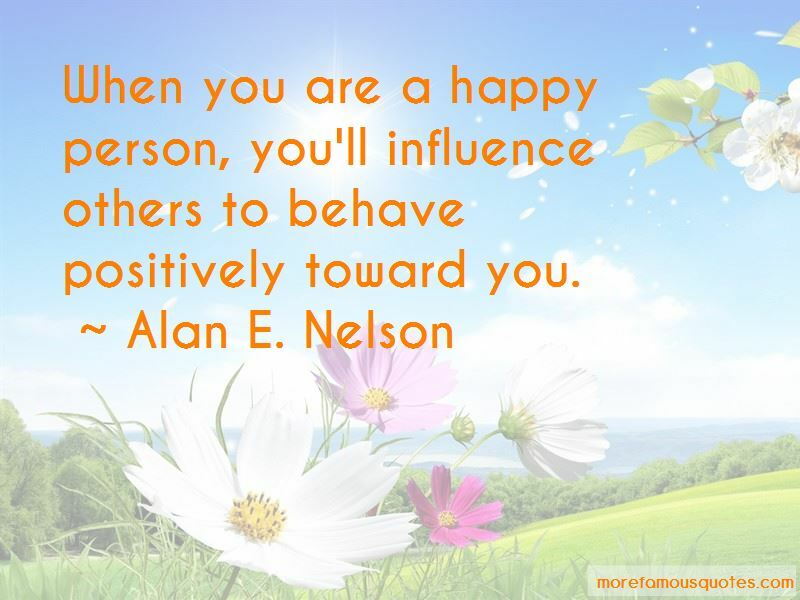 When you are a happy person, you'll influence others to behave positively toward you. Imagine that your mouth is a water spout. When you open the valve (speak), whatever comes out is an indicator of what's inside of you. 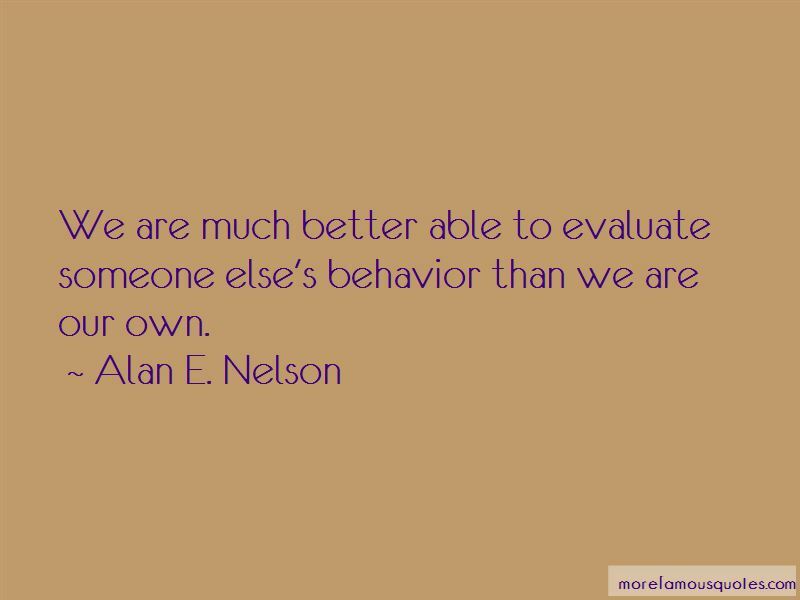 We are much better able to evaluate someone else's behavior than we are our own. Want to see more pictures of Alan E. Nelson quotes? 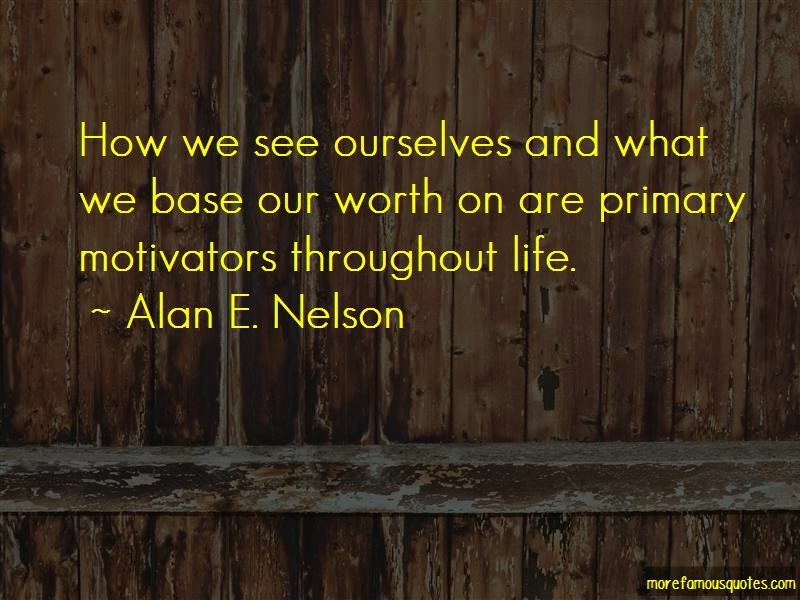 Click on image of Alan E. Nelson quotes to view full size.